A water bottle in an animal's tank makes the use of the inefficient bowl unnecessary. 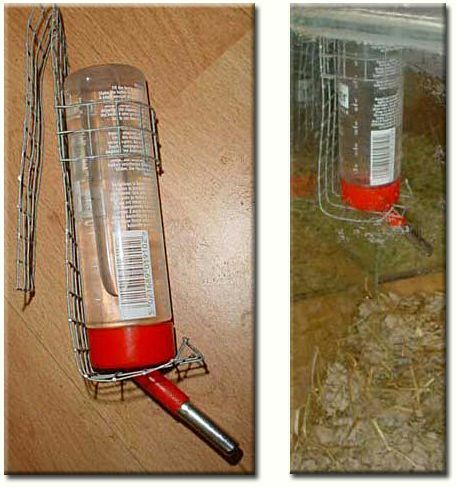 Although bottles are better, those specifically designed to hang from tank top can be expensive and gerbils (or other species) will chew and destroy them. 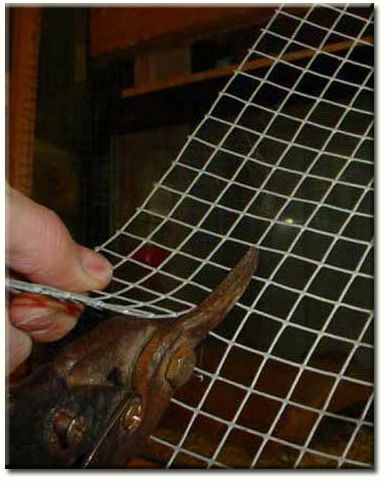 You will need a scrap piece of 1cm mesh (off cuts from tank lids are usually a good source), from which you must cut a section to the size of 4cm (squares) by approximately 30cm (squares) using wire cutters or tin snips (tin snips will be quicker). 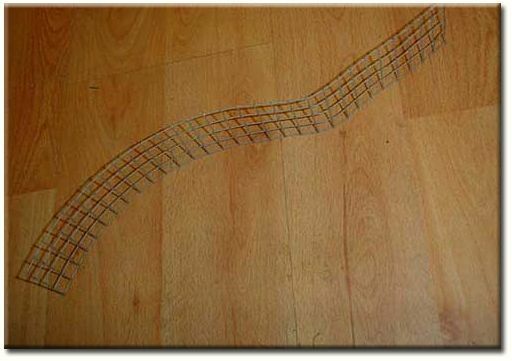 30cm allows it to be use in tanks of all heights; a shorter length can be cut if to be used solely in a low tank. 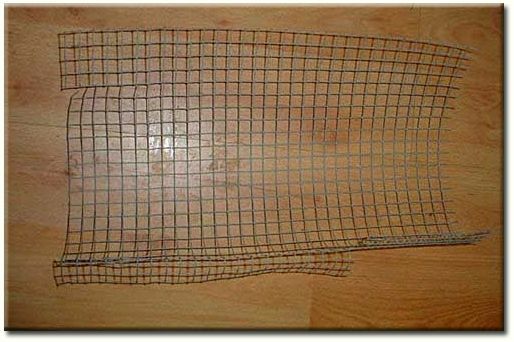 First of all, cut your strip of mesh to the desired length. 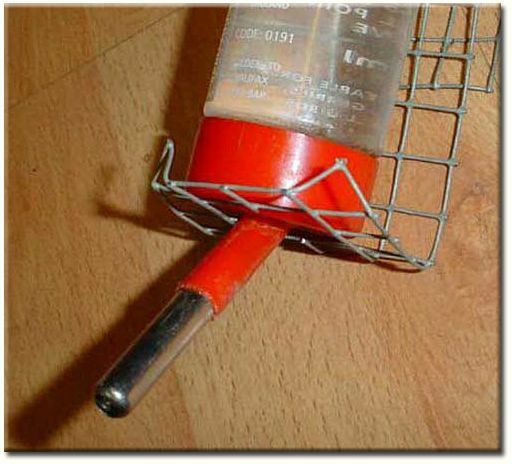 Now cut a 2cm x 2cm hole at an end for the bottle spout and bend the mesh into the hooked 'L' shape shown. 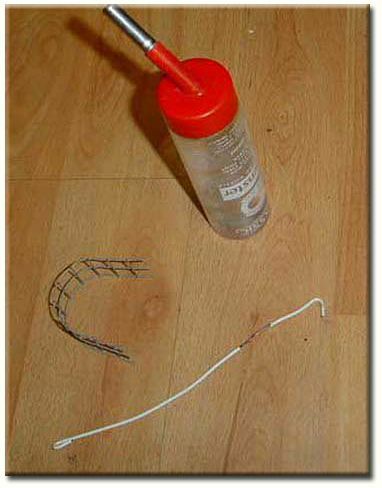 Use the wire supplied with the bottle or a 2cm x 7cm piece of mesh to support the bottle a few centimetres from the top. Bend over the corners at the bottom as shown in the photo to remove the sharp corner and provide support to the bottle. 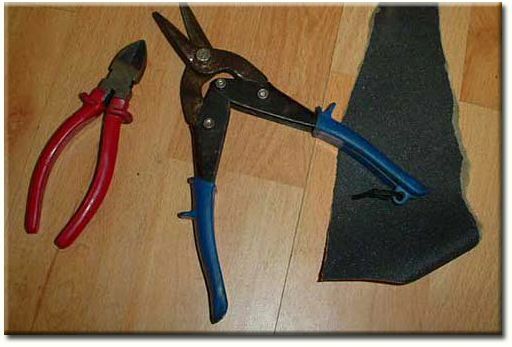 Fine sand paper should be used to remove any sharp points that remain from the cut mesh. Your water bottle is now finished and ready to hang in your gerbil's tank!